Now there is a place for that and yes it’s called Bunbury and if you’ve read The Importance of Being Ernest by Oscar Wilde, you might recognize the word. If not, the phrase from the book is inside the restaurant. 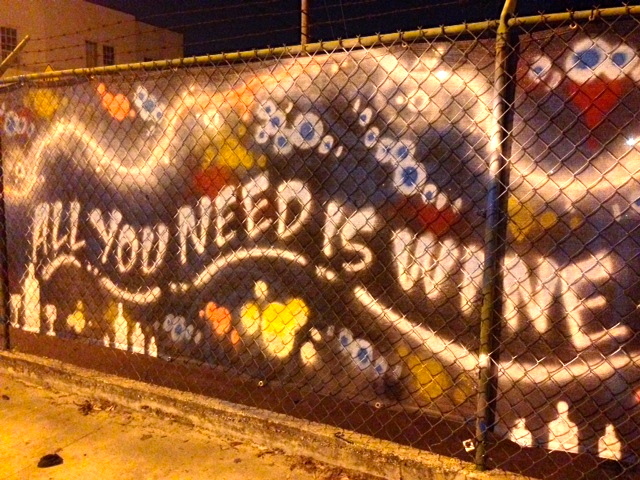 The only way you’ll find it is by spotting a fence which says “All you need is wine” which is a good start to a delicious meal ahead. This Argentine nook came about from an old tire place in Wynwood. Those tires have turned into boxes of wine and refurbished furniture. Patrons walk in to find a counter made with corks which is quite appropriate considering the ambience and grew food in store. Take some edge off the day with a glass of wine …or two. Try their wine special of the day. Don’t forget something to go with that! It’s a typical Argentine pastry known as an empanada and it’s heaven. 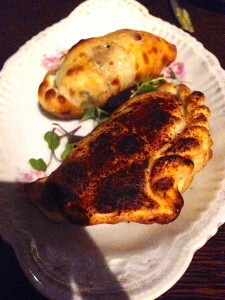 Try their empanadas filled with Brie, prosciutto, and mushrooms. Want something more light? Try their lamb empanada. Next up…main course. 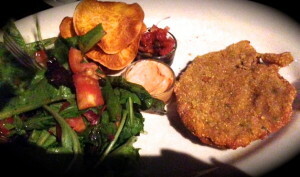 Go traditional with their milanesa (breaded steak) accompanied with salad. If you’r not hungry, the portion is actually big enough for two people to share. Make some room for dessert because it’s the pinnacle of the meal. 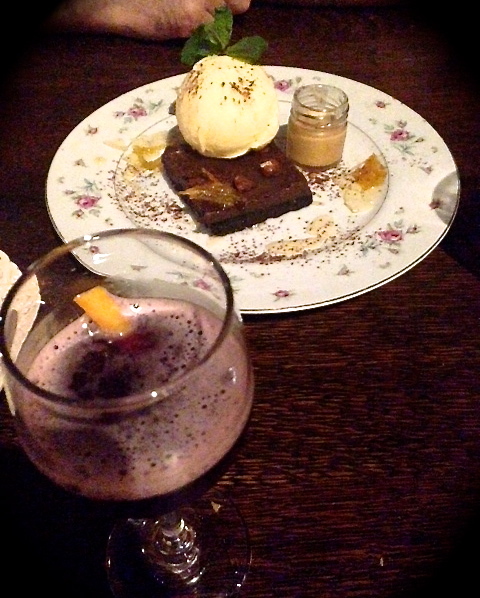 Chocolate lovers will not be let down by their brownie topped with sabayon ice-cream accompanied by a complimentary dessert wine. Sound scrumptious to you? Get some good company and they’ll bring the good food.